As I talk about food with people from all over the world, it's interesting to see what their feelings are about GMO food. Some don't even know what GMO means. Others know and are worried. Others dismiss their concerns. And many people who want to avoid GMOs aren't sure how to. So today I'm writing about just what GMOs are, where to expect them in the grocery store and elsewhere, and what you can do to avoid them if you decide that's what you want to do. GMO stands for "genetically modified organisms," which is how GM ("genetically modified") food is created. (Sometimes you'll also hear the synonymous term GE foods, which stands for "genetically engineered.") To create GMO food, scientists must make very specific changes to the DNA of ordinary plants; they use engineering techniques that insert genetic material from one species to another in order to give a food a new, desirable quality. What are these desirable qualities? Originally GMO seed was touted as being more disease and pest resistant; indeed, some GMO plants create their own pesticides. In addition, the makers of GMO seed claimed GMO plants were more productive. This sounds like a wonderful thing, growing more food from the same number of plants. However, increasing evidence shows GMO plants are succumbing to disease and pests. (For one example, see this Mother Earth News article.) Too, not everyone is thrilled by the idea of consuming food that contains pesticides, even if they are "natural" ones. In addition, GMO plants aren't, in actuality, producing more food than traditional crops. 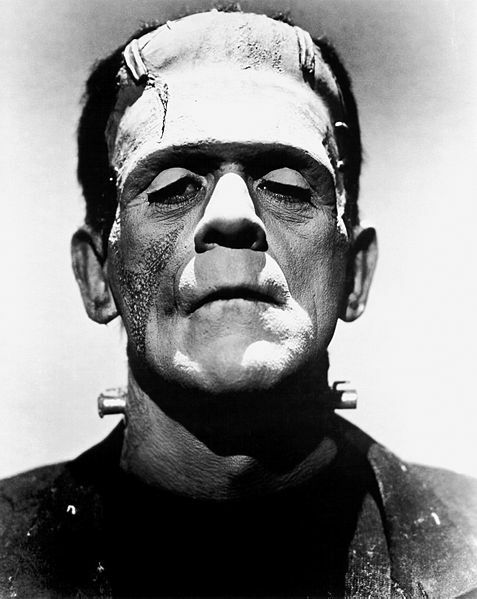 When I first heard about GMO foods, my immediate response was, "More scientists need to read Mary Shelley's Frankenstein!" As a Christian, I believe it's folly to think we can create something better than God can. GMO foods are not (as some like to argue) "just like" hybrid plants. (A hybrid plant is one whose parents are of two varieties in the same plant family. This sometimes results in, say, a tomato that is more juicy or disease resistant than either of its parent plants.) Although humans can make hybrids, nature does, too, through the wind or animal pollinators. GMO foods, by contrast, are accomplished only by humans directly altering a plant's DNA, often with non-plant DNA. But aside from this, many believe GMO animal feed (which usually contains corn and soy) is causing illness in livestock. (See this example.) Scientific studies also point to health risks when GMO food is consumed, including the recent French study that showed rats fed GMO food grew tumors. There is also some anecdotal evidence that cutting GMO foods from a human's diet seems to cure certain diseases, including IBS, Crohn's, and allergies. Where Will I Find GMO Food? The most prevalent GMO foods are corn and soy. Even this isn't as simple as it first seems, however, since corn starch, corn flour, corn meal, modified food starch, gluten, syrup, fructose, dextrose, and glucose are all made with corn, and soy flour, lecithin, protein, isolate, isoflavone, and vegetable protein are made with soy. But there is also GMO honey, agave, sugar beets, papaya, zucchini and yellow summer squash, canola (rapeseed), and cottonseed oil. Even infant formula may be full of GMO products. And this list is growing. For example, GMO salmon will apparently soon be available in markets. In addition, vegetable oil (including vegetable shortening and margarine) and corn syrup are made with GMO corn and vitamin C is made from GMO corn and soy. Vitamins A, B2, B6, B12, D, and K may also be derived from GMOs. Now there are also GMO apples, potatoes, summer squash (including zucchini), papaya, and fish. If this list seems impossible to navigate, now you must add all the processed foods containing these ingredients, including most cereals, breads, pasta, condiments, and snacks. In addition, we don't know how eating meat or dairy from animals fed GMO feed (as almost all are) affects humans. Mother Earth News has a good (though depressing) graphic that shows just how problematic things have become. Please note: There is a lot of confusion about the idea that most wheat is GMO. But at this time, no GMO wheat is sold anywhere in the world. UPDATE 5/21/14: GMO corn and soy products may also be used as a wax coating for apples. UPDATE 4/5/18: GMO rice can now be sold in the U.S.
How Do I Avoid GMO Food? * Grow your own food - as much as possible. GMO seed is not yet available to home gardeners. * Purchase produce and grains from local farms you are certain don't grow GMO food. Most small farms haven't bought expensive GMO seed, but you should still question farmers carefully before buying. * Only buy food marked Certified Organic. No food may carry this label if it has GMO products in it. Even labels that read “organic,” or “made with organic ingredients,” while not made with 100% organic products, still cannot contain GMO products, according to the True Food Network. * Look for foods marked "non-GMO" - but remember that because this sort of labeling isn't regulated, it may not always be accurate. * Buy grass fed meat and dairy. * Pay attention to produce labels. 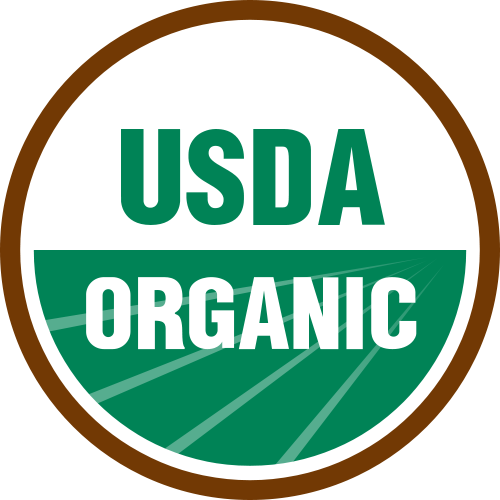 There is an Internet rumor that those annoying stickers grocery store fruits and vegetables carry identify GMO or organic foods. Unfortunately, such codes are not found on all produce. Still, if you see a five digit number starting with an 8, the produce is GMO. If a five digit number starts with 9, the produce is organic. * Download the True Food Network's .PDF of non-GMO foods or download their app. But note that this list may fluctuate over time and it's best simply to read labels. Still, if you see a five digit number starting with an 8, the produce is GMO. If a five digit number starts with 8, the produce is organic. I think that's a typo?? Got my coconut oil. thanks again. THANK YOU for pointing out the typo, ladies! I've corrected the post to read: "Still, if you see a five digit number starting with an 8, the produce is GMO. If a five digit number starts with 9, the produce is organic."